Majority of the bunker fuel that shipping companies consume in Nigeria is got from neighbouring Lome, Togo. The MD/CEO of Sea Transport Nigeria, Mr. Aminu Umar, told our correspondent in an interview in Lagos that shipowners patronize Lome for bunker fuel, because besides challenges facing refineries in Nigeria, government has not encouraged the business of bunker supplies to ships. 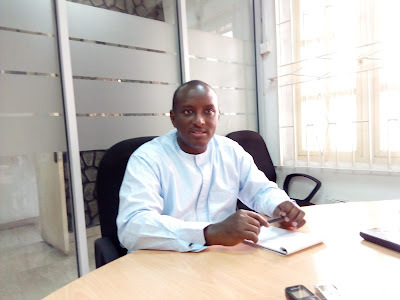 Umar, who is also the President of Indigenous Shipowners Association of Nigeria (NISA), said it was unfortunate that Nigeria considers everything that has to do with the bunker supply to ships as illegal. “We have to go to Lome for bunker supply for our ships most of the time, because government does not believe in the business of bunker supply to ships. So, now there is almost no bunker business operator in Nigeria. “Unfortunately, there is the erroneous belief that bunkering is all about smuggling in Nigeria. But, bunkering is a legal business that is operated all over the world. There are big companies with integrity that are into bunkering business. “So far, we are losing a lot of business in that area, business running into several millions in dollars. People go to Lome to take the bunkers, because it is easier to do so there. Remember that shipping is a global business and it most get bunker supplies as regular consumable to work,” Umar said.